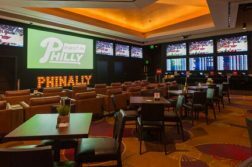 As we near the four-week mark since Pennsylvania’s first legal sportsbook opened, it is, somewhat surprisingly, all quiet on the PA sports betting front. Hollywood Casino at Penn National Race Course began its soft launch on November 15 and opened officially two days later, and most assumed it would have company within a week or two. Four other casinos have received approval of their sports betting petitions from the Pennsylvania Gaming Control Board: Parx (which received approval at the same time as Penn National), Harrah’s, Rivers, and SugarHouse. SugarHouse, meanwhile, has been advertising the coming sports vertical on its website for weeks. But as of December 12, Hollywood Casino at Penn National remains the only PA property taking bets. 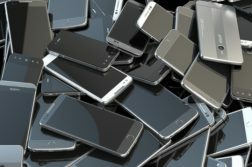 PGCB Director of Communications Doug Harbach dismisses the notion that there’s a “hold up” or that anything is moving behind schedule, essentially reminding us that opening a sportsbook is not a matter of clicking your heels and the betting begins. “The Gaming Board is working toward getting the approved facilities prepared for test periods in which they can welcome the public,” Harbach told Penn Bets on Tuesday. “There’s a lot of boxes to check off. You’ve got systems, you’ve got personnel that need to be trained. A lot of things have to be put in place before they can start taking any of the wagers. So why did Penn National get up and running so much sooner than its counterparts elsewhere in the state? Maybe the wait between Pennsylvania’s first sportsbook and its second has been longer than expected, but that wait should soon be over. The educated guess here is that Parx Casino, in Bensalem, is the one that’s closest to announcing its test period. We should know soon.